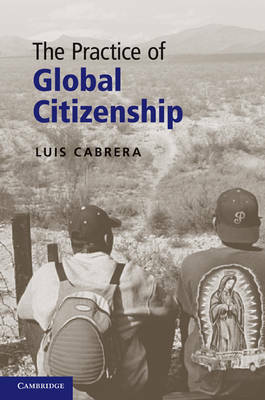 In this novel account of global citizenship, Luis Cabrera argues that all individuals have a global duty to contribute directly to human rights protections and to promote rights-enhancing political integration between states. The Practice of Global Citizenship blends careful moral argument with compelling narratives from field research among unauthorized immigrants, activists seeking to protect their rights, and the 'Minuteman' activists striving to keep them out. Immigrant-rights activists, especially those conducting humanitarian patrols for border-crossers stranded in the brutal Arizona desert, are shown as embodying aspects of global citizenship. Unauthorized immigrants themselves are shown to be enacting a form of global 'civil' disobedience, claiming the economic rights central to the emerging global normative charter while challenging the restrictive membership regimes that are the norm in the current global system. Cabrera also examines the European Union, seeing it as a crucial laboratory for studying the challenges inherent in expanding citizen membership.